You will Watch G.I. Joe: A Real American Hero Season 1 Episode 4 online for free episodes with HQ / high quality. Stream cartoons G.I. 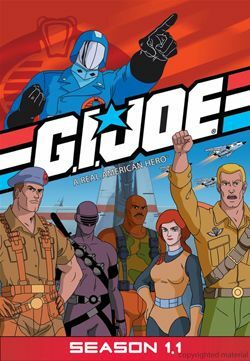 Joe: A Real American Hero Season 1 Episode 4 Chaos in the Sea of Lost Souls Cobra activates the Pyramid of Darkness, leaving the Joes stranded at sea. The Crimson Twins anticipate Cobra Commander’s treachery and signal for the Dreadnoks to relieve Zartan and Cobra Commander of control. Alpine and Bazooka ally with Quick Kick, a stuntman and karate expert from Hollywood.